Today’s 31 Days of Free Writes word is VALUE. Value is very similar to a word we had last week of WORTH. It is the same but different at the same time. I think nowadays we have a lot of trouble with this word. We hear a lot about valuing each others time. Do you value my time or your time? Or do we value each other? You hear a lot about flakiness and I think it all goes in with this word. I listened to this recently on the Around the Table Podcast. They talked about the new age term, “FOMO – Fear of Missing Out.” People will commit to you until something better comes along or they will say maybe or not commit at all because something better to do may come along. But the sad thing is most people that do this end up doing nothing in the end since they never committed to anything in the first place. I think in todays world we are valuing ourselves and our time and activities more than other people. I hear so many people that don’t have many close friends and I sometimes think it’s because of situations like this. And I’m not trying to criticize people or be mean because I’m guilty of this as well. I try not to but sometimes it’s hard and it just happens and we don’t even realize we’re hurting someones feelings. It’s something I am working on as I want to cultivate good relationships with those around me and finding a good balance between work, church, my social life, my home life (aka chores), adulting, my friendships and other relationships is SO HARD! Oh how I wish everything in life was as easy as they make it look on TV and in Movies. 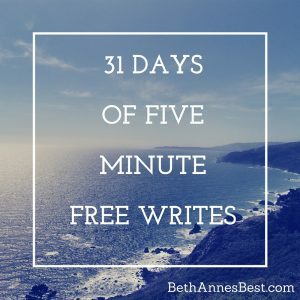 This is Day 22 of my 31 Days of Free Writes Challenge. Go check out my landing page for more words.